Week’s 7 and 8 have been merged (again) owing to various trips abroad. One highlight was being able to visit the Mobile TV Group UHD/HDR truck. 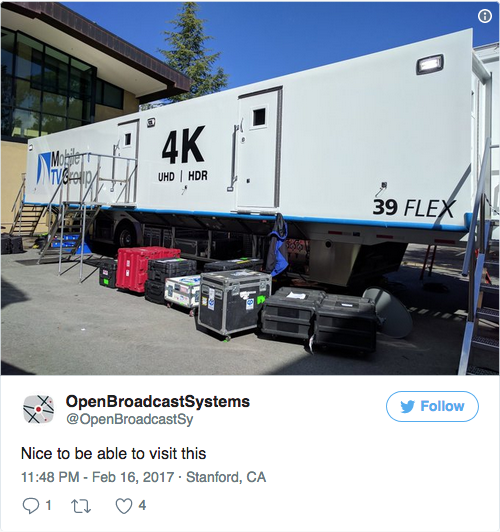 This truck was doing Basketball for FOX Sports and we learnt how they are working on testing HDR for various broadcasters. We also show how UHD streams were managed and the challenges with cable overload and managing 2SI (sample interleave) vs quadrants. 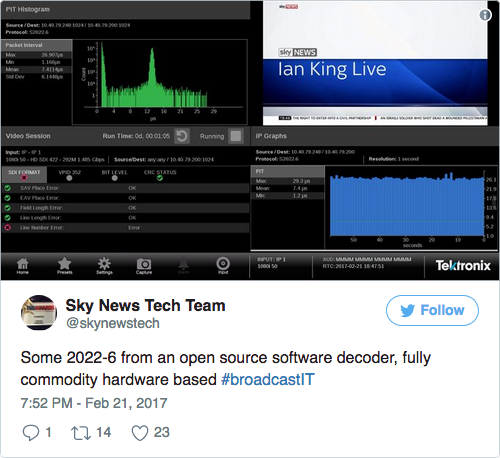 We’re learning a lot about how to deploy software 2022-6 streams ourselves in a multivendor environment. More on this at our NAB BEITC speech “Don’t Just Go IP, Go IT“.